A recent study performed by UBS1 revealed that 56 percent of married women leave household investment decisions to their husbands. A surprising 61 percent of younger or “millennial” wives admit to the same. Why is it, in an era when education and equality for women are front and center, did UBS find so many women willing to relinquish household financial responsibilities? A survey performed by Fidelity Investments2 showed that although 92 percent of women expressed a desire to know more about the household finances, when it came to actually discussing them, only 47 percent said they would consider reaching out to a professional advisor. Fidelity also found that although 60 percent of women worry about not having enough money in retirement, 32 percent felt uncomfortable discussing money and 16 percent felt that the topic was just plain “taboo.” Compare that to the 77 percent that said they felt comfortable talking about medical issues with their doctor. Are finances too personal a topic to discuss? 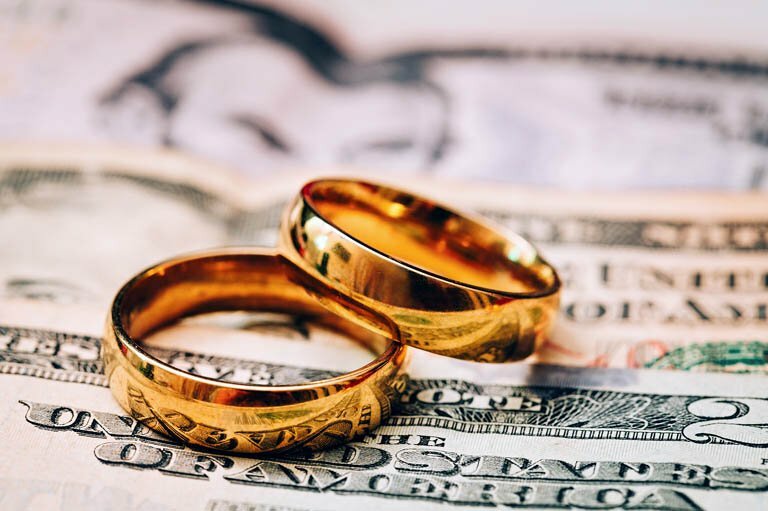 While it may be uncomfortable to talk about money for many women, it is simply imperative that they do so.Fifty percent of all marriages in the United States will end in divorce. The divorce rate among couples over 50 has doubled in the past 30 years3. Even in healthy marriages, on average, the woman is expected to live five years longer than their male counterpart does4. In fact, the median age of a widow in this country is only 595. As a Certified Divorce Financial Analyst®, I have seen my share of an imbalance of financial “power” among couples. Often times it is the woman who feels blindsided by her lack of knowledge of the family’s true financial condition. This lack of knowledge leads to a lack of trust during divorce. And where there is no trust, there is suspicion that marital money has somehow “disappeared.” If you didn’t know what was there during the marriage, how could you safely say that nothing has disappeared as the marriage has unraveled? Unfortunately, this is where litigators and forensic accountants log their hours — spending time searching for “lost” funds amidst an emotional battle, money that otherwise would remain with the family and contribute to the support of the divorced parents and their children. What this tells us as a society is that now more than ever it is important for women – and men – to get over the stigma that finances are too personal to discuss. In the UBS study, nearly 100 percent of the women surveyed after a death or divorce regretted their lack of involvement and would encourage others to take a more active role in their family finances. Take the lessons from other women who have been through divorce, listen to their concerns and advice, and learn to empower yourself. Don’t merely hope for the best or leave finances up to chance. Be an active participant in your household finances and take control of your future.